The NASA/ESA Hubble Space Telescope has taken the first visible light snapshot of a planet circling another star. 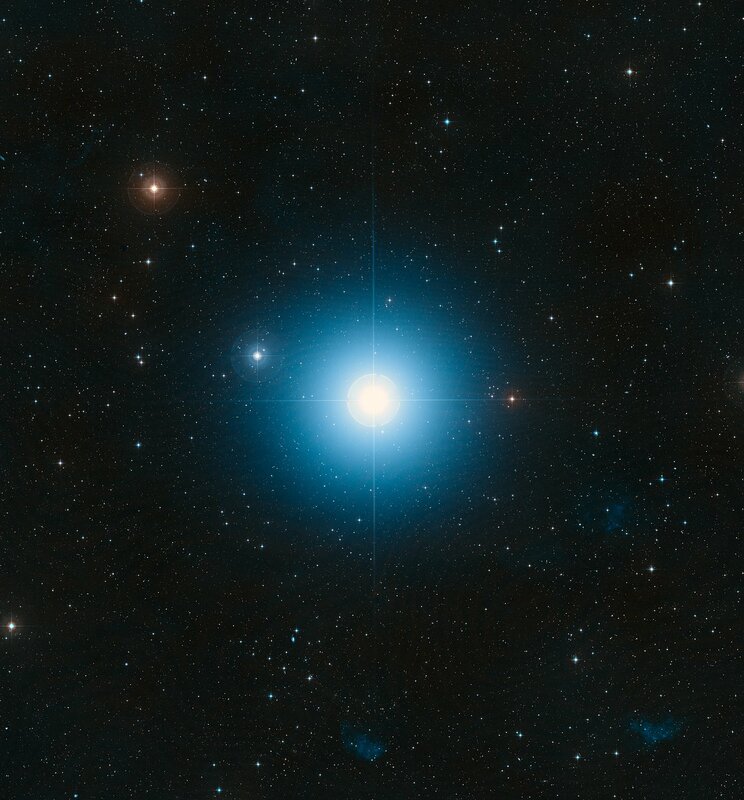 Estimated to be no more than three times Jupiter's mass, the planet, called Fomalhaut b, orbits the bright southern star Fomalhaut, located 25 light-years away in the constellation Piscis Austrinus (the Southern Fish). In 2004, the coronagraph in the High Resolution Camera on Hubble's Advanced Camera for Surveys produced the first-ever resolved visible light image of a large dust belt surrounding Fomalhaut. It clearly showed that this structure is in fact a ring of protoplanetary debris approximately 34.5 billion kilometres across with a sharp inner edge. Hubble astronomer Paul Kalas of the University of California, Berkeley (USA) and team members proposed in 2005 that the ring was being gravitationally modified by a planet lying between the star and the ring's inner edge. Circumstantial evidence comes from Hubble's confirmation that the ring is offset from the centre of the star. The sharp inner edge of the ring is also consistent with the presence of a planet that gravitationally "shepherds" ring particles. Independent researchers have subsequently reached similar conclusions. Now, Hubble has actually photographed a point source of light lying 3 billion kilometres inside the ring's inner edge. The results are being reported in the 14 November issue of Science magazine. "Our Hubble observations were incredibly demanding. Fomalhaut b is 1 billion times fainter than the star. We began this program in 2001, and our persistence finally paid off", says Kalas. 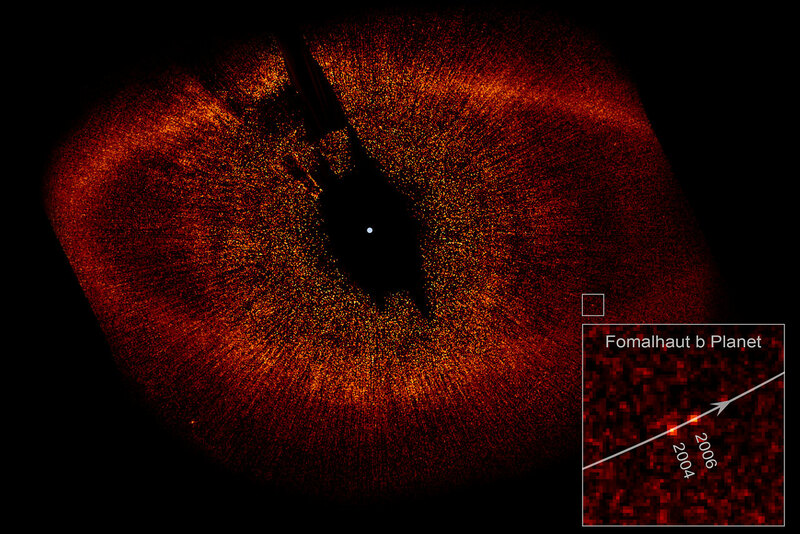 "Fomalhaut is the gift that keeps on giving. Following the unexpected discovery of its dust ring, we have now found an exoplanet at a location suggested by analysis of the dust ring's shape. The lesson for exoplanet hunters is 'follow the dust'", says team member Mark Clampin of NASA's Goddard Space Flight Center. Observations taken 21 months apart by Hubble's Advanced Camera for Surveys coronagraph show that the object is moving along a path around the star, and so is gravitationally bound to it. The planet is 17 billion kilometres from the star, or about 10 times the distance of the planet Saturn from the Sun. "It took the science team four months of analysis and theoretical modelling to determine that Fomalhaut b could not be more massive than three times the mass of Jupiter. 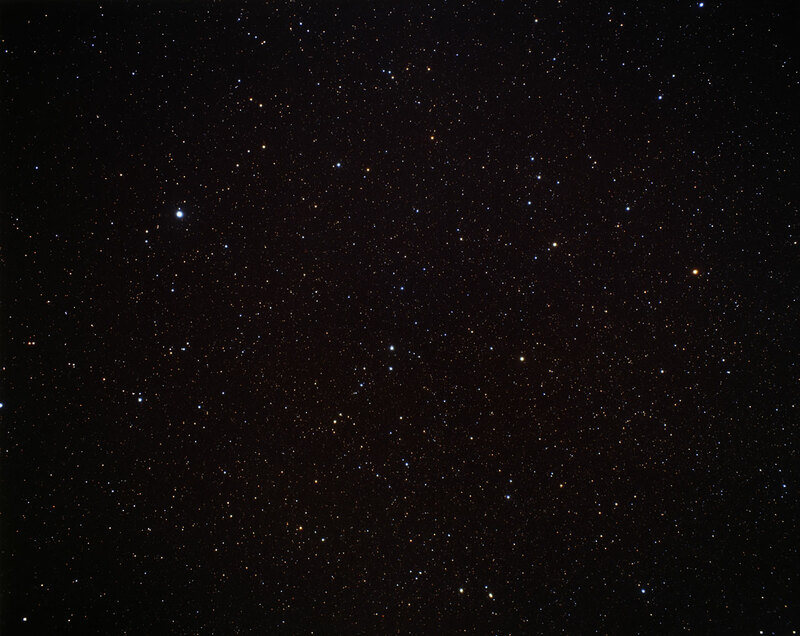 Any more massive than that and its gravity would destroy the vast dust belt encircling the star", says Kalas. 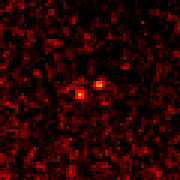 Because the Fomalhaut system is only 200 million years old, the planet should be a bright infrared object. That is because it is still cooling through gravitational contraction. 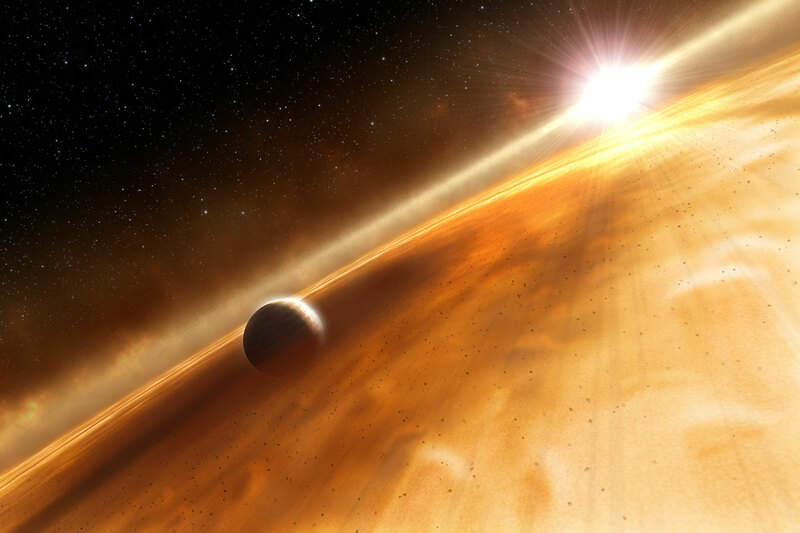 However, ground-based telescopic observations at infrared wavelengths have not yet detected the planet. This also sets an upper limit on its mass because the bigger the planet, the hotter and brighter it would be. 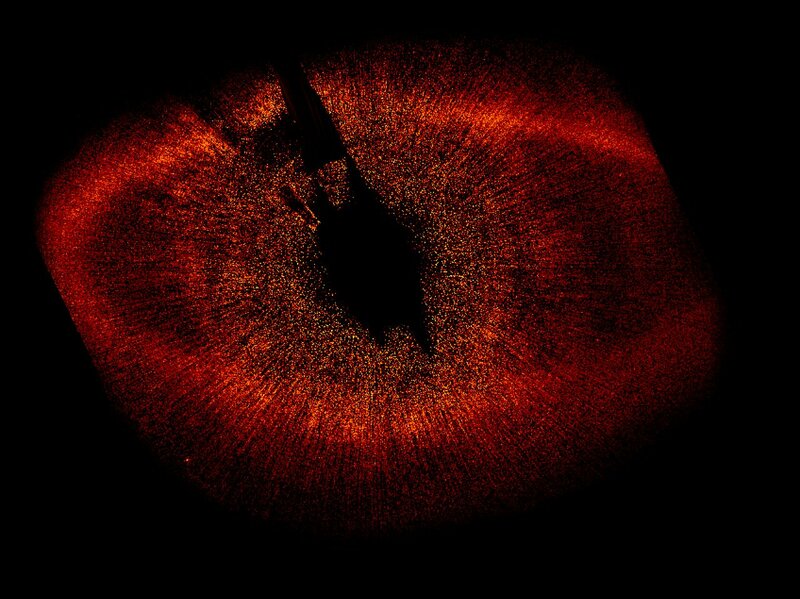 Kalas and his team first used Hubble to photograph Fomalhaut in 2004, and made the unexpected discovery of its debris disk, which scatters Fomalhaut's starlight. At the time they noted a few bright sources in the image as planet candidates. 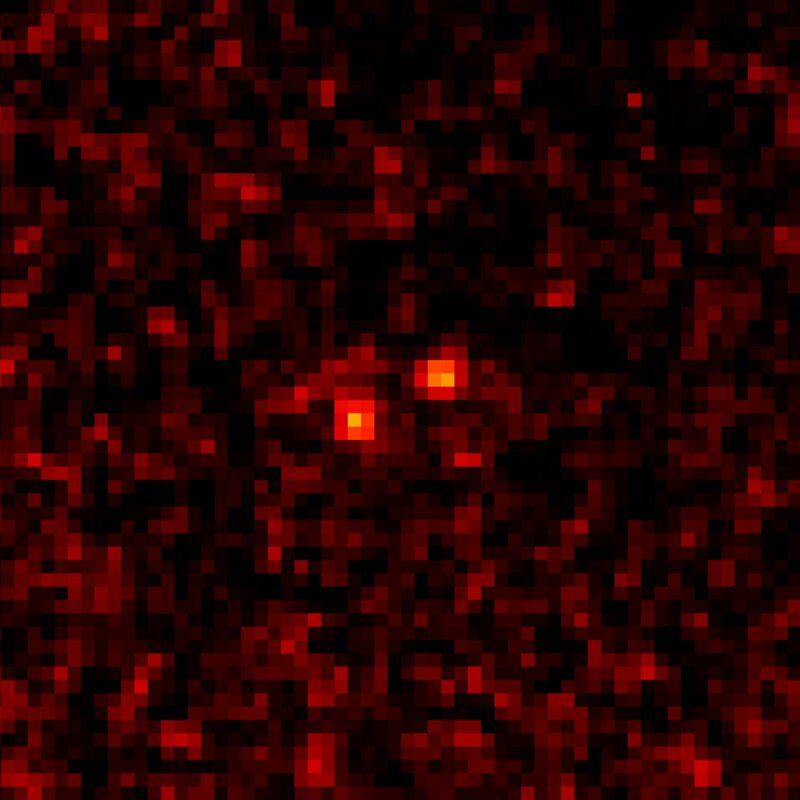 A follow-up image in 2006 showed that one of the objects is moving through space with Fomalhaut, but changed position relative to the ring since the 2004 exposure. The amount of displacement between the two exposures corresponds to an 872-year-long orbit as calculated from Kepler's laws of planetary motion. Fomalhaut moves across the sky at 0.425 arcseconds per year, which is the apparent width of 1 Euro coin as seen from 12 kilometres away. The planet mysteriously dimmed by a factor 1.5 between the 2004 and 2006 observations. This might mean that it has a hot outer atmosphere heated by bubbling convection cells on the young planet – sort of a Jupiter on steroids. Or, it might come from hot gas at the inner boundary of a ring around the planet. The planet may have formed at its location in a primordial circumstellar disk by gravitationally sweeping up remaining gas. Or it may have migrated outward through a game of gravitational billiards, where it exchanged momentum with smaller planetary bodies. It is commonly believed that the planets Uranus and Neptune migrated out to their present orbits after forming closer to the Sun and then gravitationally interacted with smaller bodies. 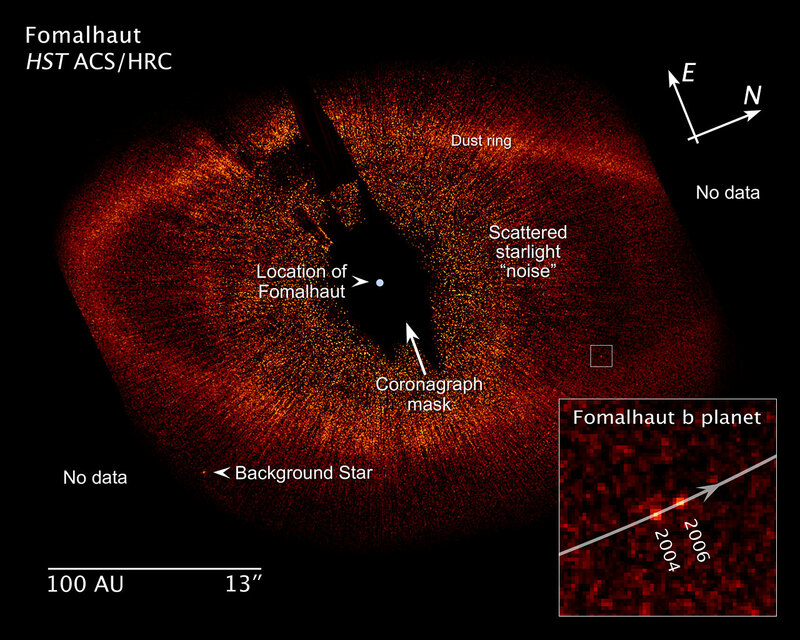 Fomalhaut is much hotter than our Sun, and 16 times as bright. This means a planetary system could scale up in size with a proportionally larger Kuiper belt feature and scaled-up planet orbits. For example, the "frost line" in our Solar System – the distance where ices and other volatile elements will not evaporate – is roughly at 800 million kilometres. But for hotter Fomalhaut, the frost line is at roughly 3 billion kilometres from the star. Fomalhaut is burning hydrogen at such a furious rate through nuclear fusion that it will burn out in only one billion years, which is 1/10th the lifespan of our Sun. This means there is little opportunity for advanced life to evolve on any habitable worlds the star might possess. Future observations will attempt to see the planet in infrared light and will look for evidence of water vapour clouds in the atmosphere. This would yield clues to the evolution of a comparatively newborn 100-million year-old planet. Astrometric measurement of the planet's orbit will provide enough precision to yield an accurate mass. The NASA/ESA/CSA James Webb Space Telescope (JWST), scheduled to be launched by ESA in 2013, will be able to make coronagraphic observations of Fomalhaut in the near- and mid-infrared. JWST will be able to hunt for other planets in the system and probe the region interior to the dust ring for structures such as an inner asteroid belt. The science team members are P. Kalas, J. Graham, E. Chiang and E. Kite (University of California, Berkeley, USA), M. Clampin (NASA Goddard Space Flight Center, Greenbelt, Md., USA), M. Fitzgerald (Lawrence Livermore National Laboratory, Livermore, California, USA) and K. Stapelfeldt and J. Krist (NASA Jet Propulsion Laboratory, Pasadena, California, USA).